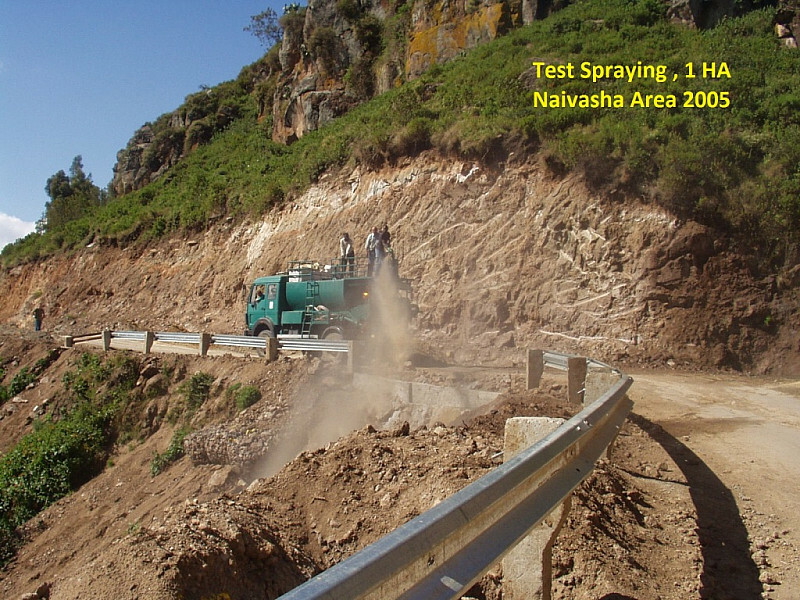 ATL Hydroseeding East Africa LTD.
As the name indicates, the company deals with environmental issues namely erosion control, greening and dust prevention with a high-tech approach at e.g. 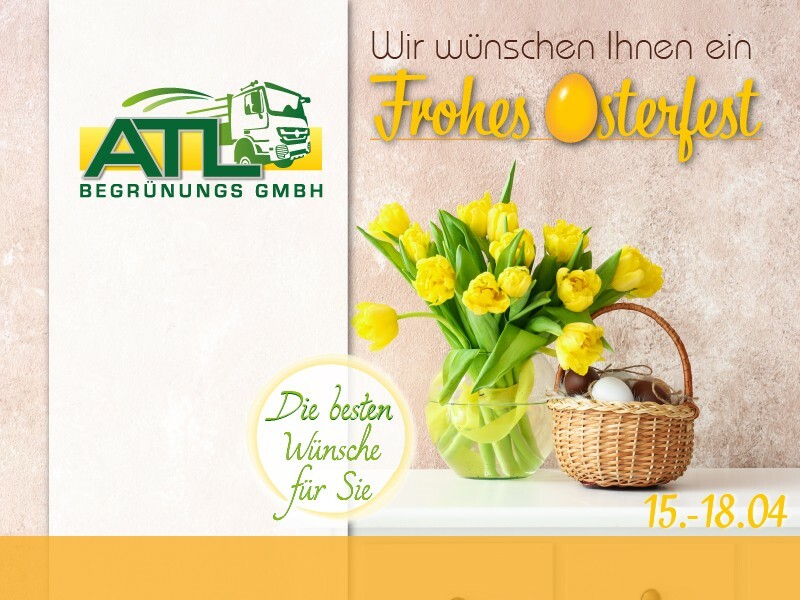 road construction, quarries, landscaping, like airports, dams, golf courses and roof top greening, we are closely cooperating with ATL Begrünungs GmbH, Germany and its group members, a leading company in Europe with over 40 years of experience in hydroseeding. 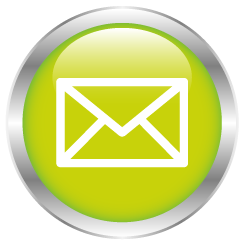 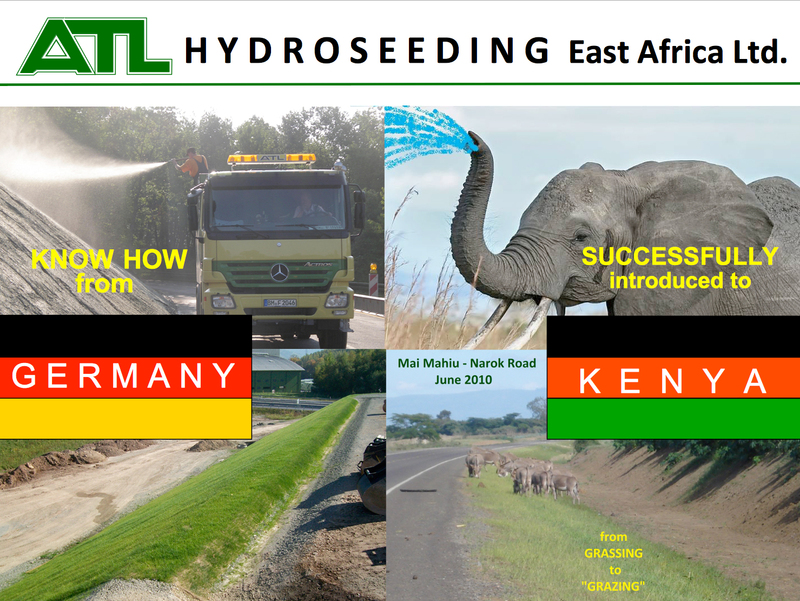 ATL Hydroseeding East Africa Ltd. was incorporated in Kenya in April 2005 as the latest member of the Germany based ATL Group that embraces 4 branches in Germany, companies in Spain, Sweden, Austria, Poland, Italy and Hungary. 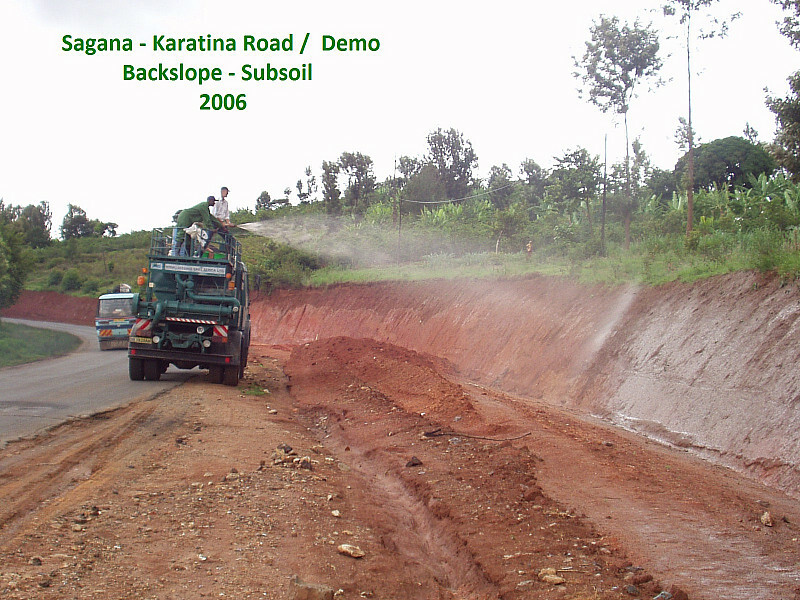 After a successful demonstration and pilot phase in 2005 to introduce and prove this technology under East African conditions, the National Environment Authority (NEMA), Ministry of Roads & Public Works, has granted approval for the commercial use of the technology, followed by KeNHA, KeRRA, and embraced by construction companies. 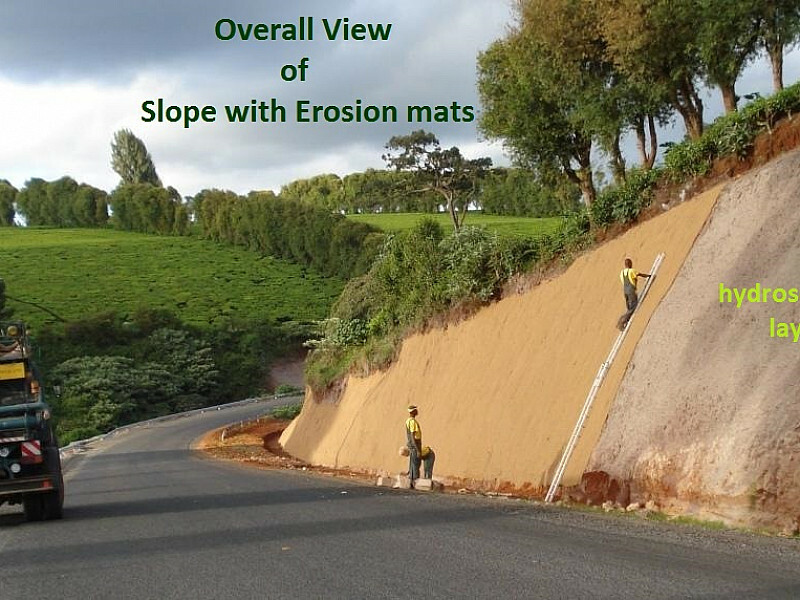 For immediate response to requests and the need of environmental solutions wherever soil is laid open and unprotected through construction activities, ATL Hydroseeding E.A. Ltd. has in place.